HOW YOU CAN ROCK N' REEL WITH US! ​There are many ways for people of all ages, genders, talents and levels of expertise to make a difference - at our rock and film summer camps and throughout the year. We have all kinds of ways to jam with us. You don't have to be a musician or a film maker! Help us full-time or part-time. 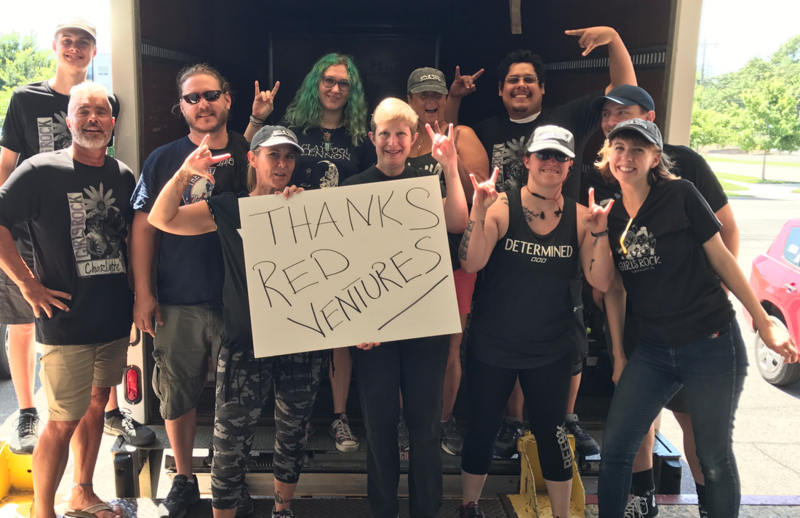 Check below for volunteer descriptions and all the different ways you can help!! Band managers are THE BEST! This is one of the most rewarding volunteer roles with our camp! Band managers help rock the musical process throughout week for their band. You will gain valuable experience as you facilitate the week-long creative process with your band of four to five campers. And you will enjoy the smiles, high-fives (and probably proud tears) as your band takes the stage and rocks the house! Musicians volunteer as instructors and band managers! If you rock vocals, guitar, bass, drums, or keyboards - we need you! You can have basic or advanced knowledge in your instrument, and experience performing is always a plus! You will be working with campers who all levels of experience. This position is a great chance to pass on your super sweet skills! You make a difference! We need more diversity behind the camera...and that starts with your help! It's takes a lot of different skills to make movie magic! We need folks with sound, camera, lighting, screenwriting, editing and all kinds of technical skills. "Executive Producers" help the film crews all week long and mentor them to their big debut! We also need talent to come in throughout the week to share and teach skills. 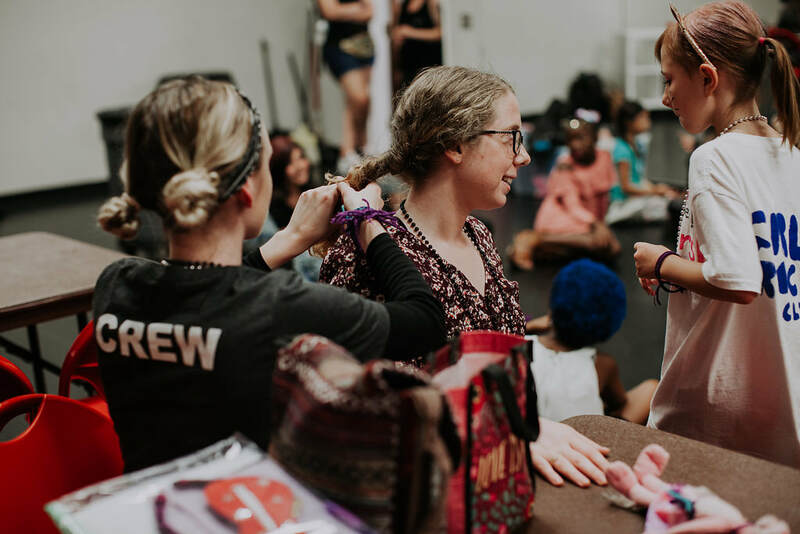 Women currently make up only 17% of the professionals working behind the camera...and Girls Rock Charlotte is going to change that. Counselors help everything run smoothly - serving as mentors for campers, participating in games and skits, helping out with snacks, and making sure the campers have a fun, productive day. You will love rockin' this gig! We love to feature inspiring leaders! Join us! We love to feature awesome folks rockin' our Queen City with their talents! Let us know if you have a one-hour workshop that you want to create for our camp. Topics may include: vinyl album art, self-defense, DJ/mixing, songwriting, media literacy, team-building, “image vs. identity”, history of women in music, and making band art (silkscreening, logos, etc.). We welcome other ideas so please share them with us via our Workshop Proposal form. This is where camper dads and dudes can help! Roadies are vital! You can help set up, break down, and move equipment throughout the week. Responsibilities include setting up the camp site, setting rooms for band practice every day, helping with load-in/out on concert day, etc. We always need some rock star hair & make-up help! Our concerts are FANTASTIC and we need a lot of help to make sure they rock! Help us with selling merch, working info tables, styling the rockers, and more as we prepare for the big night! HAVE MORE QUESTIONS ABOUT VOLUNTEERING? 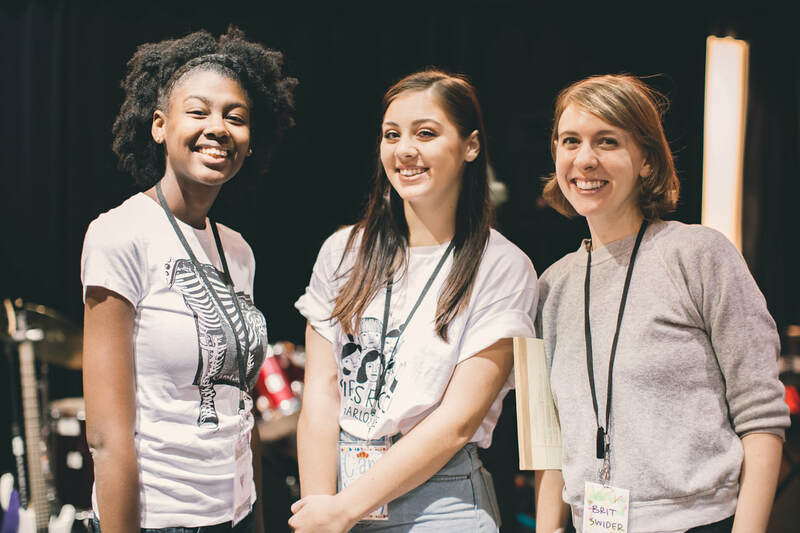 CONTACT US AT VOLUNTEER@GIRLSROCKCLT.ORG!